When we have important notes to take, files to read, things to alphabetize, delicate, pressing matters that call for our undivided attention, we can always count on a cat to arrive on the scene, to lend a paw, and help. 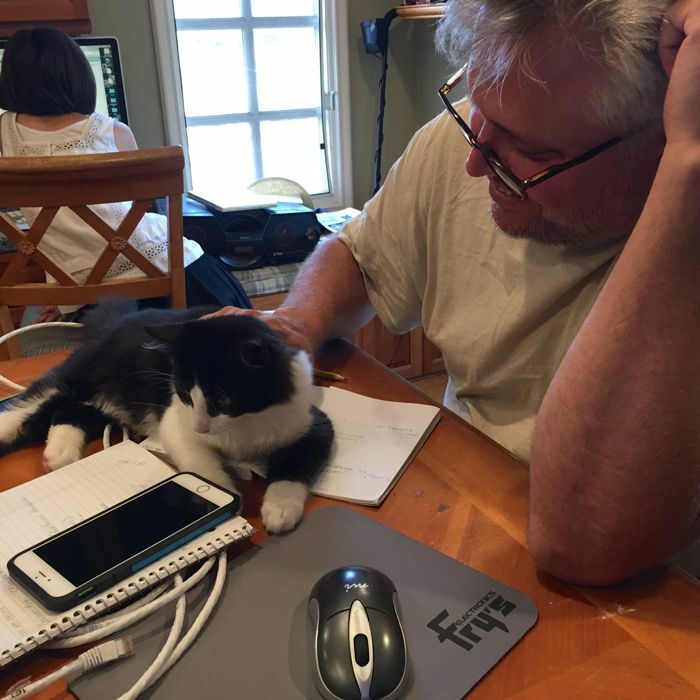 Now, thanks to Cairo, with some assistance from Geoff and Max, Max has a rehabilitated lap top, with emails, bells, whistles, and calendars all ready for Physics, Humanities, Calculus, and FaceTime with family... especially for FaceTime with family! Perfect -- all the things! A working lap top, great courses on tap, software ready for touching base with HQ.